In addition to exhibition at the Showcase event, ALL student entrants received positive and constructive feedback from multiple judges. Those notes will be emailed directly to students on Monday, June 8, or as soon as we have individual contact information. Please encourage student entrants who have not already done so to contact us with that email. Students awarded prizes who did not collect these at the Showcase should contact us ASAP. Some awards are time-restricted, and all awards must be claimed (or forfeited) by June 30, 2015. Thank you for joining the 2015 DiMA Showcase–or at least for tolerating our emails thus far. Please watch for a survey for teachers next week, which will be an important voice in planning our 2016 event. Young people around the world get paid to make pictures, shoot video, create music. Think you have the skills to be one of them? Find out…with feedback from professionals already working with the most important and powerful companies in the world. Win PRIZES, be part of our SHOWCASE…CONNECT WITH THE PROS. 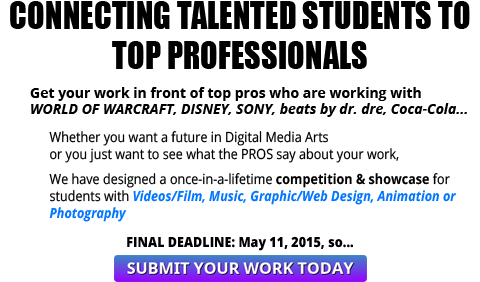 Submit your work. LAST deadline is May 11. Although the judging phase of the 2015 DiMA Showcase hasn’t started, we have begun interviewing teachers about ways to make the Showcase more helpful and accessible to students and teachers. An immediate suggestion that we can address this year is to offer one free entry, per class, to every media arts teacher in San Diego County. If you’ve got that student for whom the entry fee is just that last obstacle, you can make it go away. But they must enter by the final deadline, May 11. Entry details are in the box below. We are bringing top industry professionals working with Disney, World of Warcraft, Coca-Cola and more in to help students improve their work, get a shot at scholarships, gear and other inspiring prizes, and generally to encourage students to see what a future in the Digital Media Arts Profession can be for them. It all culminates in Open-to-the-public Showcase Event where ALL submitters’ work will be celebrated and showcased at the Digital Gym. The event will include representatives from advanced and university training programs, as well as judges such as Digital Artist Tony Washington. There will be student award presentations, plus teachers and top programs acknowledged. And finally, the drawing for that GoPro camera prize offered to email subscribers. But nobody wins unless they complete their entry by May 11! To use the free Teacher Choice, the standard Entry Form (step 2) is still required. The only difference is that as the Paypal receipt number, enter TEACHERCHOICE, the teacher’s LASTNAME, and the NAME OF YOUR CLASS.Remember, you are gifting your student with access to an extraordinary, potentially life-changing opportunity. Plus you as the teacher are eligible for the teacher-only awards: Best-of-Show teacher, Model Program documentary, and an enervating visit to Comic-Con. Go to the Entry page. We are excited to announce the Head of Original TV Programming for DISNEY, Jay Francis, as a judge for the Digital Media Arts Showcase. Every teacher hopes to make a positive difference in their students’ lives. The Digital Media Arts (DiMA) Showcase is a potential life-changer. Our judges are working professionals (Disney, Sony, TimeWarner…) and every entry is guaranteed feedback from one or more. We realize what teachers are paid, and how tricky reimbursement can be. So we offer this guarantee: any unused 2015 entry fees can be applied to the 2016 DiMA Showcase. Order by February 28. What do WORLD OF WARCRAFT, LADY GAGA, and Marvel’s SUPER HERO SQUAD have in common? An artist with sterling credits in the video game, music, and comic book industries, Tony joins artists behind STAR WARS, RANGO, and PIRATES OF THE CARIBBEAN to bring a state-of-the-art perspective to San Diego high school and middle school students. Event judges include working pros from every digital media industry, and range from local advertising and media all the way to the head of original programming for DISNEY television! It’s a unique opportunity for San Diego students, and the next deadline is coming fast: March 31. 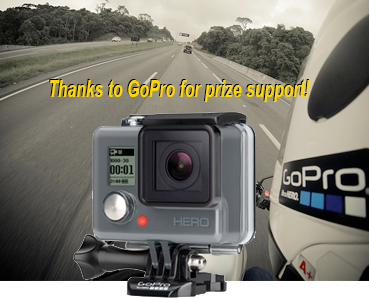 Visit the website for category details and sign up for our GoPro camera raffle. Speaking of prizes, next week we will highlight the latest scholarships, mentoring sessions, and media tools being offered to student winners this year. And remember, the teacher whose student takes our Best-of-Show award will also win a GoPro camera, a day at Comic-con, and a lunch on-site. IRON MAN and PIRATES OF THE CARIBBEAN artist joins showcase! Melissa Mullin, a Digital Artist who has worked on all the PIRATES films–as well as STAR TREK, RANGO, HARRY POTTER and many others–has joined the judging panel for the 2015 Digital Media Arts Showcase. Ms. Mullin works at Industrial Light & Magic, the premier video effects company in the world. Next deadline for the DiMA Showcase is March 31. Enter now to take advantage of advance pricing. A fish will feed you today. LEARNING to fish, you can eat every day. 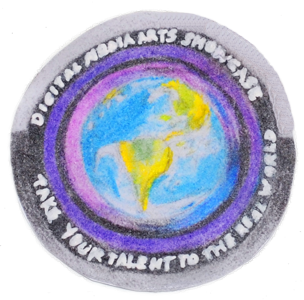 The Digital Media Arts Showcase is about leveraging the skills you have taught your students, with the expertise of pros working with MARVEL, WORLD OF WARCRAFT, PIRATES OF THE CARIBBEAN, DISNEY. Yes, we have fish for the best entries (although we prefer to think of them as TOOLS). More importantly, every category winner will receive free classes, one-on-one consultation, and/or studio time and resources. And every entrant will get feedback from pros who already get paid to do the work your students want to do. Entry deadline is March 31. If your student takes home Best-of-Show, or if your students collectively win the Program Highlight prize (number of entrants X average judges’ score), you’ll get a GoPro camera plus a day at Comic-con. More importantly, DiMA will produce a short video highlighting your program and your students, and post it online as a Model Program in Digital Media Arts. How can you Motivate and Celebrate your students? 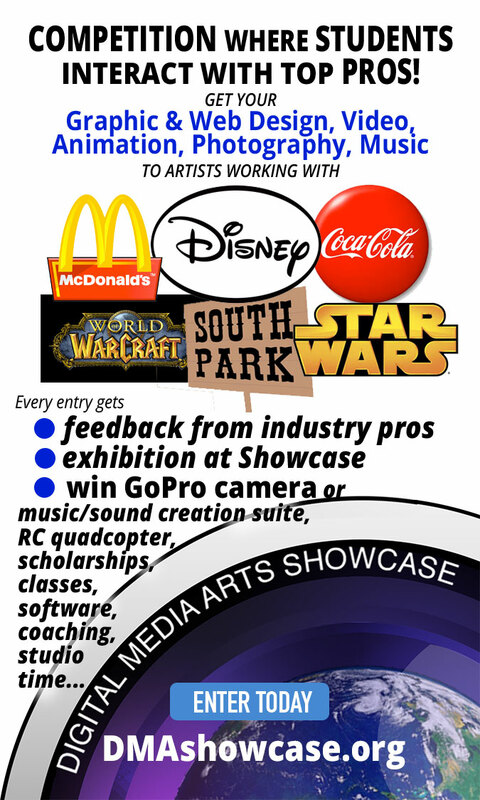 How about providing an opportunity to get their work in front of top professionals from DISNEY and ILM (PIRATES OF THE CARIBBEAN, STAR TREK, HARRY POTTER), guys who work with brands like MCDONALD’S, COKE, beats by DR. DRE….